We are beyond excited that you have committed to journey with us over the next year. Our hope is that the Triune God would use our collective journey through Christian Story, Christian Belief, and Christian Formation to make us more like Jesus. 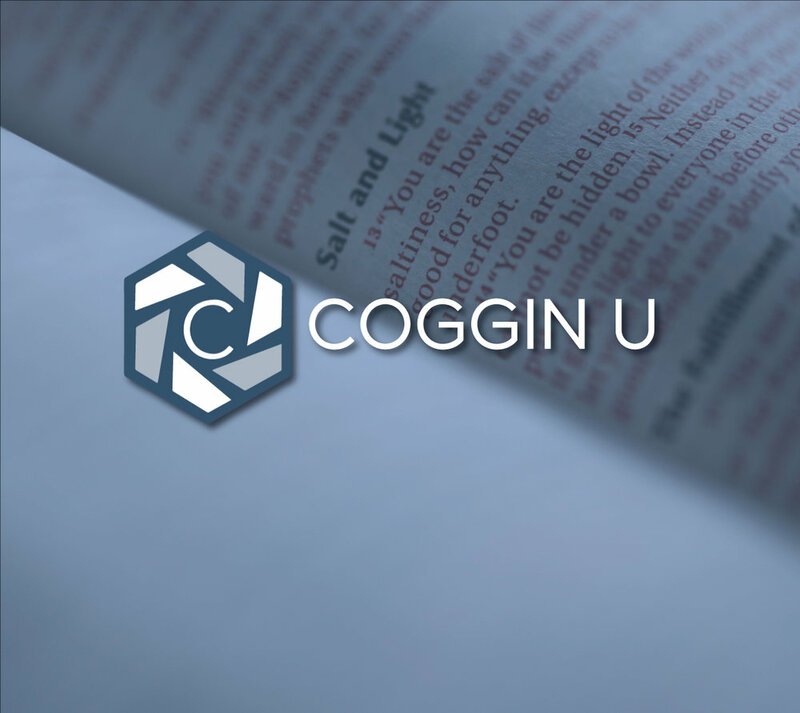 Below you will find a link to the Coggin U Syllabus, which includes the course description, goals, and tentative schedule. If you have any questions or concerns please contact me at 325.998.4509 or daniela@cogginchurch.org. In addition, you will find a short participant profile below. This acts as your registration form, and gives me a little more information about you, your story, and your background. I'd also be interested to know why you'd like to do Coggin U. What are you hoping to get of the next year? This information will not be shared with anyone and will simply give me ways I can pray for you. Again, I'm very excited about what the next year holds. Please contact me at anytime that you need me. Are there any specific questions that you have about the Bible, theology, faith, etc. that you would like see addressed? No answer required. Also, I can't guarantee we will be able to answer your question. Are you in need of childcare? Please explain your need including any important information about your kids (names, ages, allergies, medications, special needs etc). Thank you! If you would like to pay online, then you may do so at the link below. If you would like to pay by cash or check, you may mail or drop off payment at 1815 Coggin Ave. Brownwood, TX 76801. If you have any questions regarding payment, please email Daniel Attaway at daniela@cogginchurch.org, or call 325.646.1506. We are excited that you have committed to Coggin U and can’t wait to see what the Lord is going to do in and through you!